Event Description : FICCI LADIES ORGANISATION (FLO) presents An Interactive Session with Swami Ramdev on his journey from "Yoga Guru to Marketing Guru"
Swami Ramdev is best known for popularising yoga among Indians through his mass yoga camps and daily television programs, which airs to millions around the world. Ramdevji is the founder and head of the Patanjali Yoga Peeth in Haridwar and teaches around 200,000 people per month at his yoga camps. “As a part of its activities, FLO brings together achievers from various arenas for interactive sessions on breaking through challenges and innovating change to achieve success. 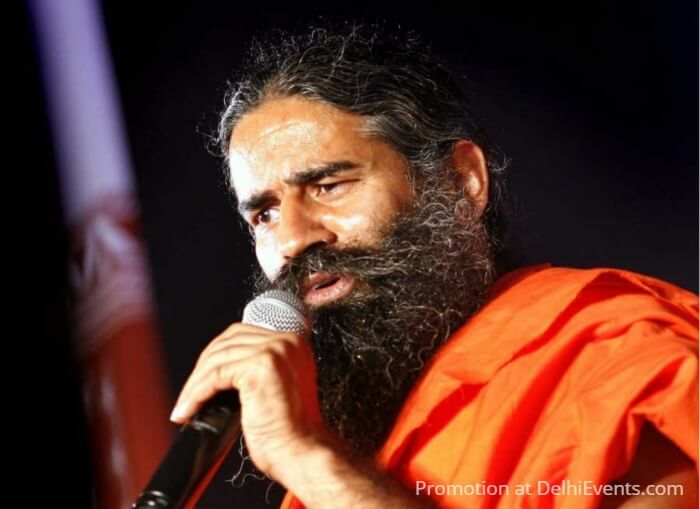 A man of great talents, Baba Ramdev has truly scripted his own destiny and reached the zenith of accomplishment as a renowned yogi and also a successful entrepreneur. “ said Ms Pinky Reddy, President , FICCI Ladies Organisation (FLO) . “ No other story would be more inspiring and enriching than the one of Baba Ramdev’s journey from attaining moksha in the Himalayas to ruling the market, especially the FMCG sector, with his Patanjali products.’ Ms Reddy said. “FLO is the most apt platform to connect, learn and grow. We recognise the success stories of true achievers and provide a platform for the members to be inspired by them. An entrepreneur extraordinaire, Swami Ramdev ji brought yoga to people’s drawing rooms and made it easy and approachable. He is now taking on the biggies of the FMCG world with his Patanjali products. This programme will be an excellent opportunity to be motivated by the inspiring success story of Swami Ramdev ji and learn about his journey to success.” She said.